CoveCare Center is pleased to announce Eric A. Toth as its next Chief Executive Officer, effective January 2019. Diane E. Russo, current CEO of CoveCare Center, is retiring at the beginning of 2019 after 20 years of dedicated service. Mr. Toth has spent the past 18 years with Family Services of Westchester (FSW), most recently as the Vice President of Program Operations, a position he has held since 2013. His role at FSW focused on managing, coordinating and developing clinical and community-based programs and projects. With his extensive experience and proven record of dedication to helping those in need, Mr. Toth is well suited to advance CoveCare Center’s mission to partner with individuals, families, and the community to foster hope, wellness, and recovery, and to restore quality of life by addressing mental health needs, substance use, and social and emotional issues. “I am honored and excited to join CoveCare Center. The quality of the care provided by this organization is a reflection of the teamwork and values of the staff, the community partners and the Board of Directors. With CoveCare Center’s 20 years of experience to build upon, I am eager to join this team, to continue to help those in need and to grow our services to meet the needs of the community,” said Mr. Toth. 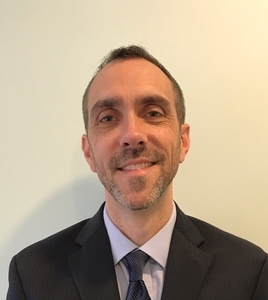 Mr. Toth holds a Bachelor of Arts degree in Literature from The New School, a Master’s Degree in Social Work from Hunter College, and a Master’s Degree in Business Administration from New York University’s Stern School of Business. He is an adjunct professor at Fordham University’s Graduate School of Social Services. For more information about CoveCare Center, please visit www.CoveCareCenter.org or call 845-225-2700.